Philadelphia (AFP) – When President Donald Trump announced the US exit from the Paris climate deal one year ago, the mayor of Philadelphia was among those who vowed to keep carrying the torch. 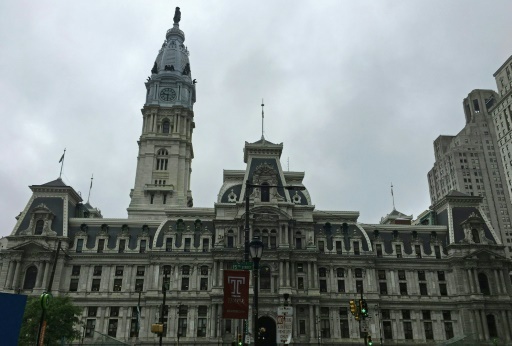 “Philly is committed to upholding at (the) local level the same commitment made by the US in the Paris climate agreement,” tweeted the sixth largest US city’s mayor, Jim Kenney, a Democrat. Since then, the City of Brotherly Love has cut energy consumption in municipal buildings, started replacing street lamps with LED lights, and launched a major green energy overhaul of its celebrated museum of art. But these actions represent just a drop in the bucket, faced with the 18 million tons of carbon spewed into the atmosphere by Philadelphia each year. Although emissions have declined, there is only so much the city can do. Here, 85 percent of residents heat their homes with natural gas, a fossil fuel that is abundant in the rocks beneath Pennsylvania. Cars and trucks rumble through downtown — and more than half of the electricity the city gobbles up each day is produced by oil- and coal-powered power plants. “It can’t be done by cities and states. 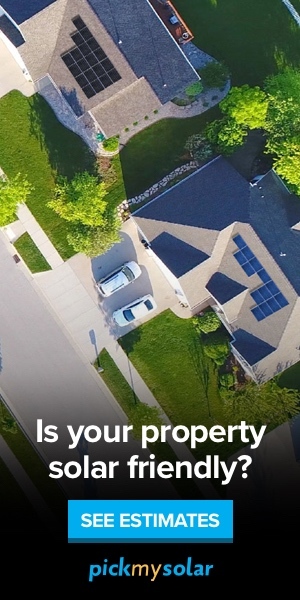 We do need a completely clean, carbon-free grid to meet this goal,” said Christine Knapp, director of the office of sustainability for the city of Philadelphia. Philadelphia is among some 2,700 cities, states and businesses that declared “We Are Still In” when it comes to the 190-plus nation Paris accord, signed in 2015. The movement emphasizes progress, such as how carbon dioxide emissions fell in 2017 to their lowest point in 25 years, and how gigawatts of solar and wind energy have been installed as coal use declines. In Philadelphia, a city of 1.6 million people, such gains are evident, but are also happening at a far slower pace than many would like. For instance, the mayor is simply not able to close coal and gas-powered plants that fuel the city, since they are connected to a vast network that covers 13 states in the northeast. AFP / Ivan Couronne. 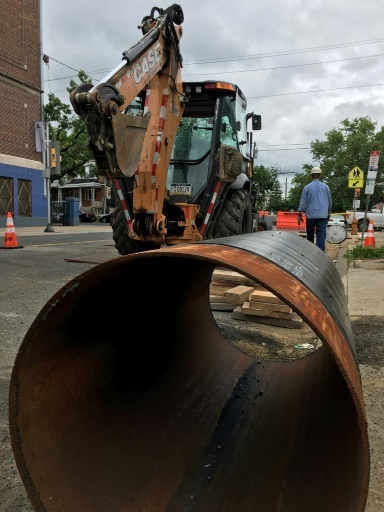 Philadelphia Gas Works workers replace cast iron gas mains with stainless steel pipes to reduce methane leaks in north Philadelphia. Only the state legislature in Pennsylvania can force operators to increase the share of electricity that comes from alternative energies beyond its current goal of 18 percent in 2021. With only 0.5 percent of the power mandated to come from solar, it is far from enough. Add to this Trump’s cancellation of the Obama-era federal anti-pollution “Clean Power Plan,” which was expected to lead to numerous plant closures. In the end, the market may be the biggest force at play in Philadelphia’s drop in emissions, with natural gas prices falling below the price of coal and gaining market share. Used as fuel, natural gas is responsible for half the carbon of emissions of traditional coal burning. However, drilling and extracting it from the ground leads to leaks of methane, a greenhouse gas that is 34 times more potent than CO2. Philadelphia is even more embroiled in the use of fossil fuels because the city owns the local gas company, PGW. Little by little, the distributor is replacing its pipelines in order to reduce methane leaks, which currently make up two to five percent of total volume. But the clashing of goals is jarring. On one side, the mayor imagines a future without gas. On the other, PGW defends its future as the cleanest, least polluting of all the fossil fuels. “Natural gas is not coal, it’s not oil,” said Barry O’Sullivan, director of corporate communications at Philadelphia Gas Works. Deep in the belly of the Philadelphia Museum of Art, built in 1928, steam pipes that feed radiators are being replaced throughout the building in order to boost efficiency. The air conditioning system, installed in 1974, will be replaced, along with 12,000 halogen or florescent lightbulbs, swapped out for energy saving LED lights. “We’re saving a lot of steam,” said Charles Williams, capital project engineer at the Philadelphia Museum of Art. The 11 million investment will pay for itself over 20 years, thanks to lower energy and water bills. Beyond these budgetary gains, the renovation is a window into the city’s efforts to prove its goodwill. That’s the silver lining of Trump’s anti-climate actions, which Knapp said have shocked local actors and businesses into increasing their own engagement. “And those actors are going to show the rest of the world that we’re not completely insane, and try to keep us afloat until the federal government steps back in,” she said. Featured Photo: AFP / Ivan Couronne, Ivan Couronne. When US President Donald Trump announced the US exit from the Paris climate deal one year ago on June 1, 2017, the mayor of Philadelphia Jim Kenney was among those who vowed to keep carrying the torch.